Το Hotel Montha είναι μια πολύ καλή επιλογή για τη διαμονή σας σε Chiang Mai, είτε είστε τουρίστας είτε επαγγελματίας. Το ξενοδοχείο βρίσκεται 0 Km από το κέντρο της πόλης και σας προσφέρει εύκολη πρόσβαση σε σημαντικά μέρη της. Με την βολική του τοποθεσία, το ξενοδοχείο προσφέρει εύκολη πρόσβαση στους προορισμούς της πόλης που πρέπει οπωσδήποτε να δείτε. Οι εγκαταστάσεις και οι υπηρεσίες που παρέχει το Hotel Montha διασφαλίζουν την ευχάριστη διαμονή των πελατών. Το ξενοδοχείο σας προσφέρει μια μεγάλη επιλογή υπηρεσιών, συμπεριλαμβανομένων των 24ωρη υπηρεσία δωματίου, δωρεάν WiFi σε όλα τα δωμάτια, 24ωρη φύλαξη, ημερήσιος καθαρισμός, 24ωρη ρεσεψιόν. Όλα τα καταλύματα διαθέτουν τις απαραίτητες ανέσεις για να εξασφαλιστεί μια ασυναγώνιστη αίσθηση απόλαυσης. Η πλήρης λίστα των ψυχαγωγικών υπηρεσιών είναι διαθέσιμη στο ξενοδοχείο, συμπεριλαμβανομένων των μασάζ. Το Hotel Montha είναι ο ένας και μοναδικός προορισμός για εσάς που ψάχνετε ποιοτικά καταλύματα στη Chiang Mai. Extremely helpful staff. Very cosy place. Excellent value for money. 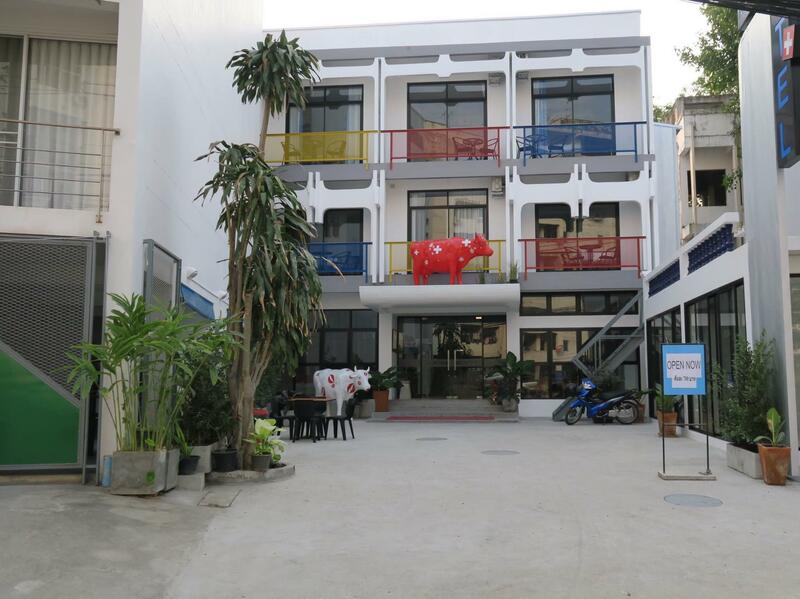 Good location, close to night market. Many restaurants , money changers nearby . Night life and Thai Boxing 3 mins from hotel . Friendly helpful staff , clean room , good WiFi , hot shower. My third time stay here , always good . Convenient to stay at the first level as you dont have to lugged your luggage up 3 floors which I did on my second stay. Overall I feel first level have a more modern feel. Prefer the first level than the third. Good price, decent location, few minutes walk to the night bazaar and near to bars and pubs. 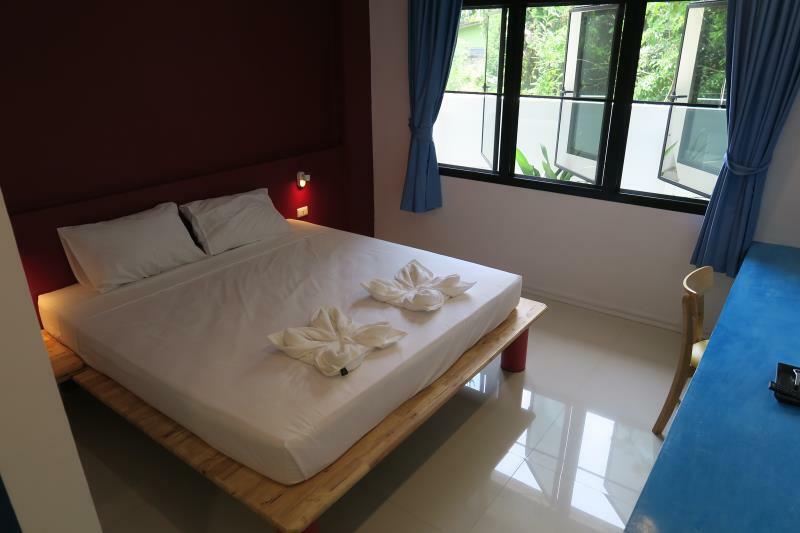 The hotel is new, ultra clean and modern and very conveniently located with a well trained and competent staff. The adjacent restaurant is outstanding and offers a German style buffet breakfast daily for 130 Baht. I would definitely stay here again and highly recommend it to others. Very nice hotel, Reception staff Yu, Lin & Dada are very nice and helpful. House keeping staff very hard working keeping the hotel clean. Hotel Food Court very good ,cheap and very nice. Thanks to you Mr. Robert and Mr . Eido . Biggest reasons for satisfaction: exceptions value and delicious food at Auf ser Au Garden, German buffet. Daytime staff in hotel gracious and accommodating. Very eager to please. Night staff somewhat unenthusiastic, but maybe you would be, too—working all night long. The staff was very nice! Always helpful and smiling. The room was very good and loved it better when we got it cleaned everyday. The location wasn’t too bad. We only walked as our transportation and it was fine in the morning/afternoon but it was a little sketchy walking past the bars at night with old men checking you out every time you walk by. Overall, would stay hear again and rent a bike. Stayed for a couple nights while planning the next leg of the trip. It was clean and the bed was very comfortable. The balcony was nice. Only downside was the shower hose burst while showering before checking out, but that's just wear and tear. Great otherwise. I dont expect much for the price but I was really suprise with the property. There are a lot of bars but this hotel is on an alley to an alley of the bars so it is quiet but extremely close to main road. 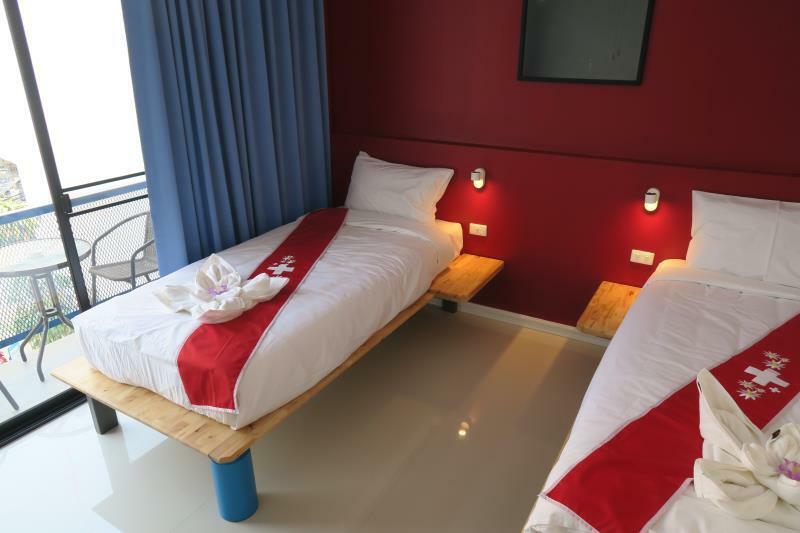 Nice EU size bed, the helper speaks perfect English and the owner speaks German and Thai. Property and room are extremely clean. Internet is very fast. Dont forget to try the authentic German breakfast in the morning. I love those homemade pretzel. No nacho cheese needed with those pretzel. Excellent. We really enjoyed the time at Montha Hotel...a nice place to be....very nice and helpful employees...we will come back! 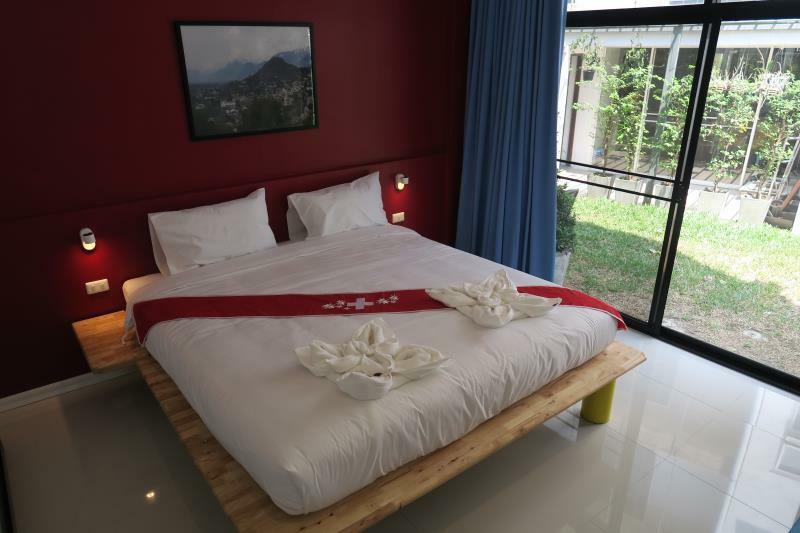 My go-to hotel in Chiang Mai, i have stayed at the Hotel Montha a number of times now. The hotel was built/refurbished a few years ago and is still holding up well. Rooms are clean and well maintained. The location is handy for those that wish to visit the Night Bazaar during their stay. Recommended. 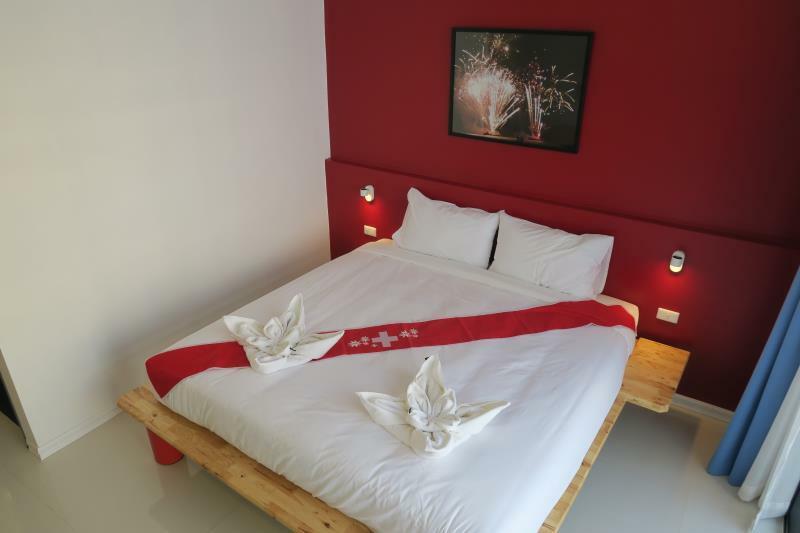 Only a 100 meter walk down from Loi Kroh Road this great little hotel is in a great location for restaurants, bars and the Night Market and only a short walk to Shopping centers. Great staff and excellent rooms and the best value breakfast at the German restaurant next door on offer.. I really liked the hotel overall, and the staff was so nice!! Location was GREAT! However, I did leave early because the bed was too hard and I woke up in some serious pain. Seriously so hard!! Also the balcony was not really something I used because it overlooked a swamp-like area filled with trash. Kind of a put off. I would have been just as happy without a balcony. No elevator so Agoda needs to update/change that. Like I said though, the price is really great so well worth it if you can overlook those inconveniences. Check in staff member was very informative, spoke excellent. Room was about the right size for the price. Walk left and then right and go about 400m to the night bazar street. Bakery is attached to hotel. Overall, I like this hotel. it is quiet and peaceful. Nice to have coffee downstairs and small cookies. I find Montha to be a good value. My only niggle is the bed this last time was a bit on the too firm side. Being I am a side sleeper, woke up each day a bit beat up. Asked if had mattress pads and was met by a blank stare which can be interpreted as "no". Nice and big rooms, good internet, very clean. Lots of bars and massaaaaaage nearby. No hot water maker inside the room, and some tiny little ants on the desk, but they didn't bother me / bite. Overall a good option. Popular enough, the airport taxi knew where it was . Walking distance to many places. Didn’t try the geman restaurant. We loved this place ! The price of the room is correct and you can find an amazing german buffet next to the hotel. I recommend !